The Luxurious Assyrian Costumes. DRESSES, COATS AND SHAWLS. Part V. Assyrian Plate 4. This entry was posted in Ancient, Assyria and tagged Ancient Assyrian clothing, Paul Louis de Giafferri on 5/22/18 by world4. 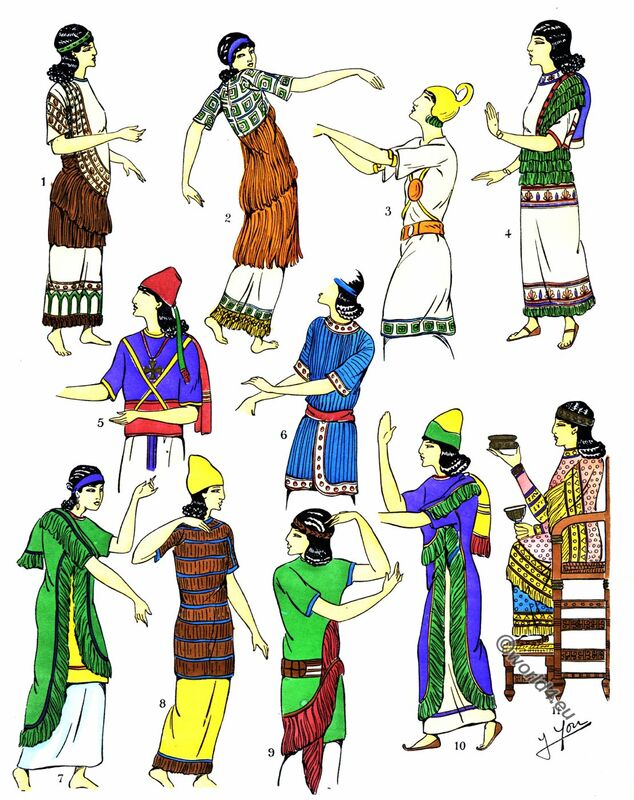 Assyrian Blouses and Ensembles. Costumes common to both sexes. 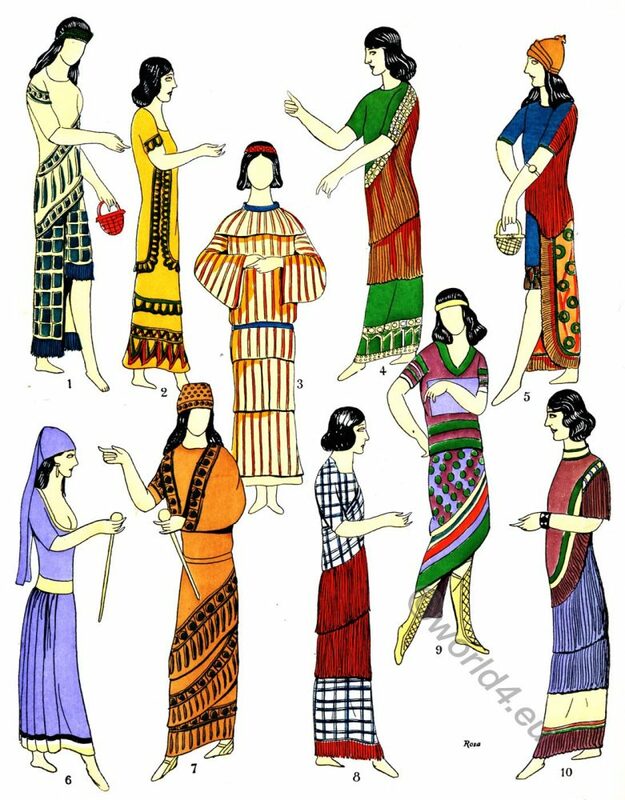 The Luxurious Assyrian Costumes. Blouses and Ensembles. This entry was posted in Ancient, Assyria and tagged Ancient Assyrian clothing, Paul Louis de Giafferri on 5/11/18 by world4. 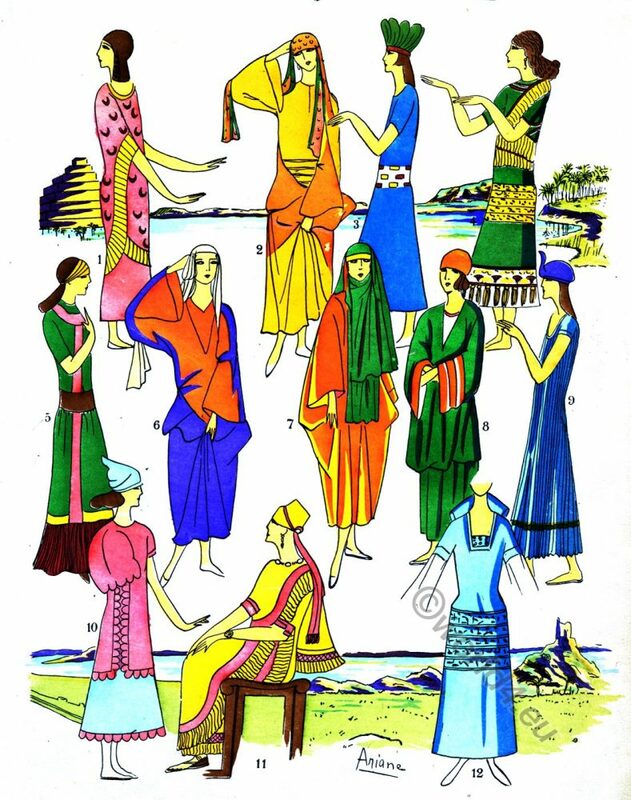 Garments, Dresses. The Luxurious Assyrian Costumes. The Luxurious Assyrian Costumes. Part V. Assyrian. This entry was posted in Ancient, Assyria and tagged Ancient Assyrian clothing, Paul Louis de Giafferri on 5/5/18 by world4. 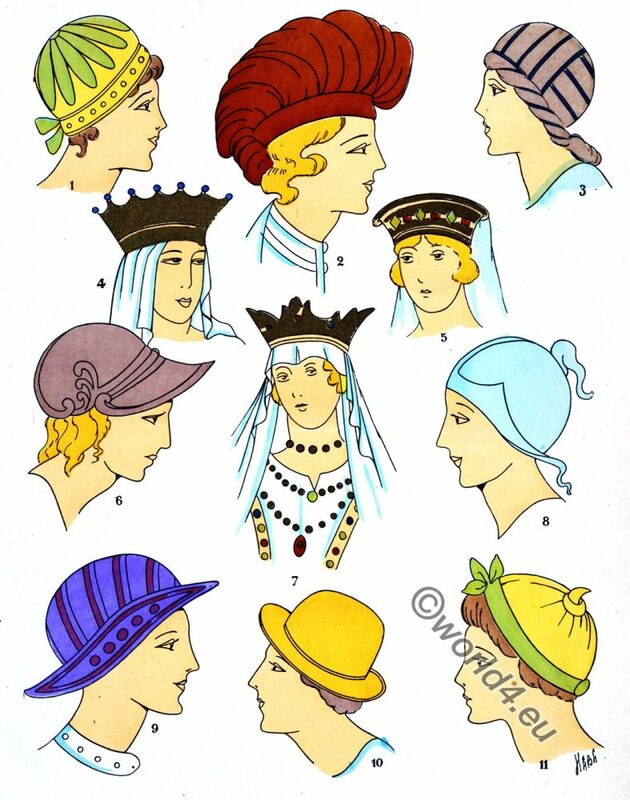 Coiffures, Hats. The Luxurious Assyrian Costumes. The Luxurious Assyrian Costumes. 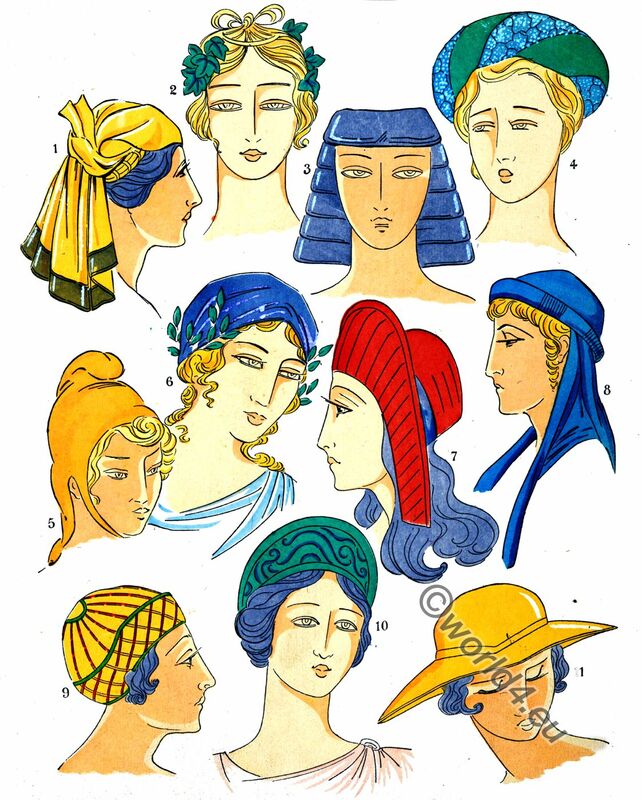 Coiffures, Hats. Part V. Assyrian. Plate 7. 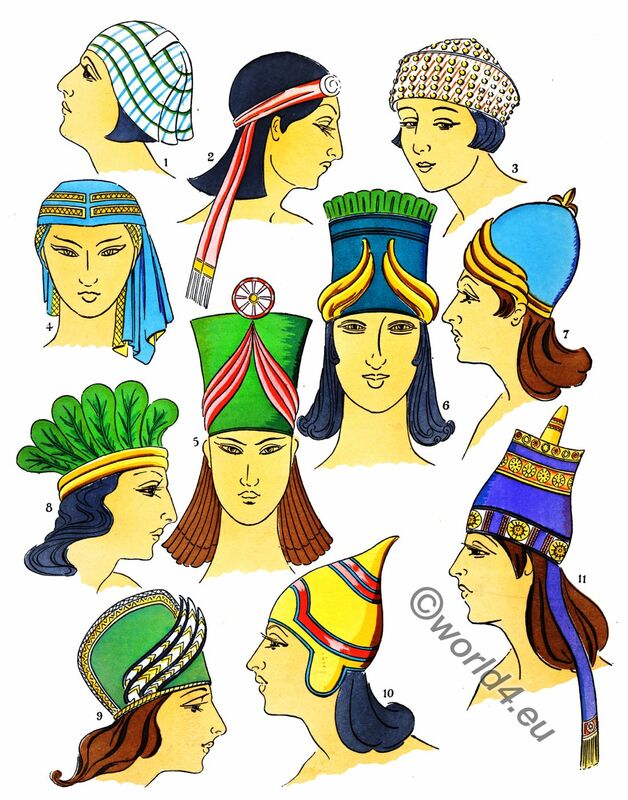 This entry was posted in Ancient, Assyria, Hairstyle, Hat, Iraq, Middle East and tagged Ancient Assyrian clothing, Paul Louis de Giafferri on 4/20/18 by world4. Fashionable Ladies. The Luxurious Assyrian Costumes. Assyrian. Fashionable Ladies. Plate 1. This entry was posted in Ancient, Assyria and tagged Ancient Assyrian clothing, Paul Louis de Giafferri on 4/19/18 by world4. Coiffures. 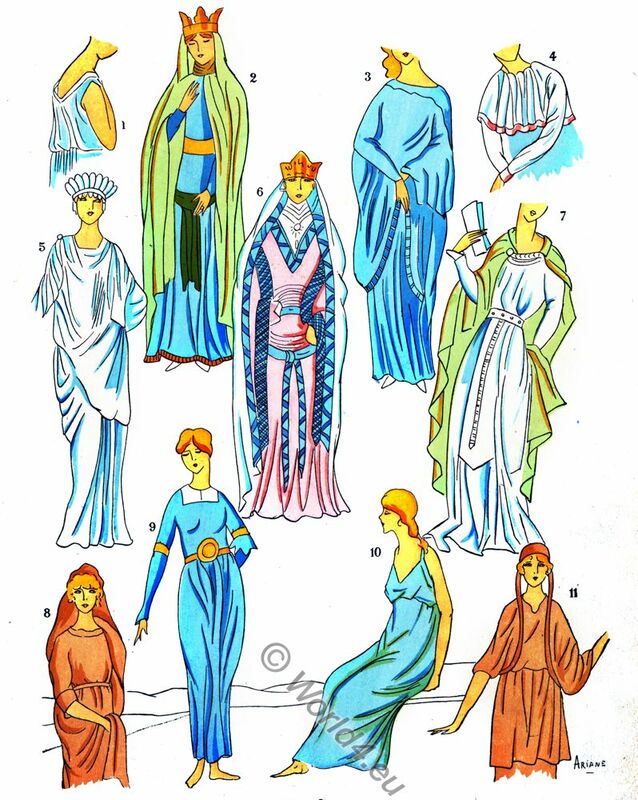 The Beautiful Lines of the Greek Costumes. 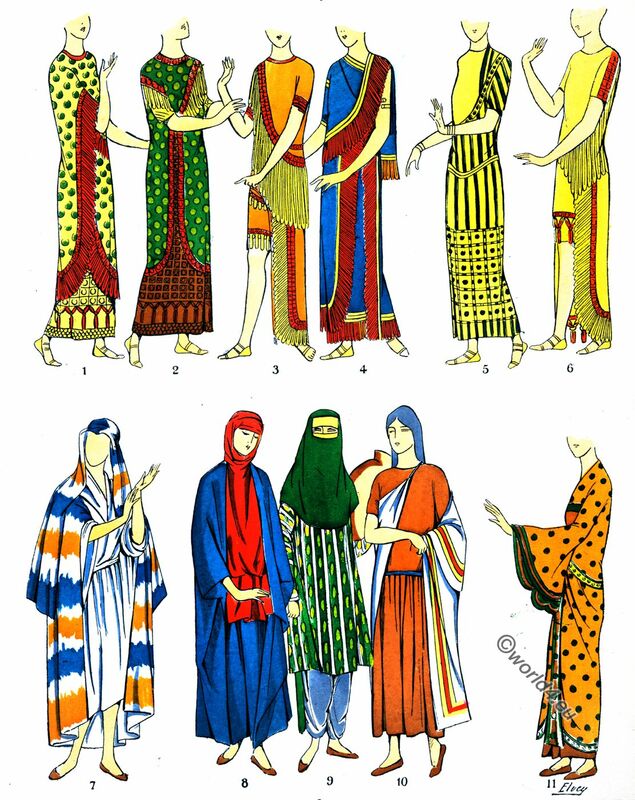 The Feminine Costume of the World. Coiffures. Part VIII. Ancient Greece. Plate 7. This entry was posted in Ancient, Ancient Greece, Hairstyle and tagged Ancient Greek headdresses, Paul Louis de Giafferri on 4/13/18 by world4. Fashionable Gallic women. Merovingian costumes. Fashionable Gallic women. Gauls, Merovingian costume history. 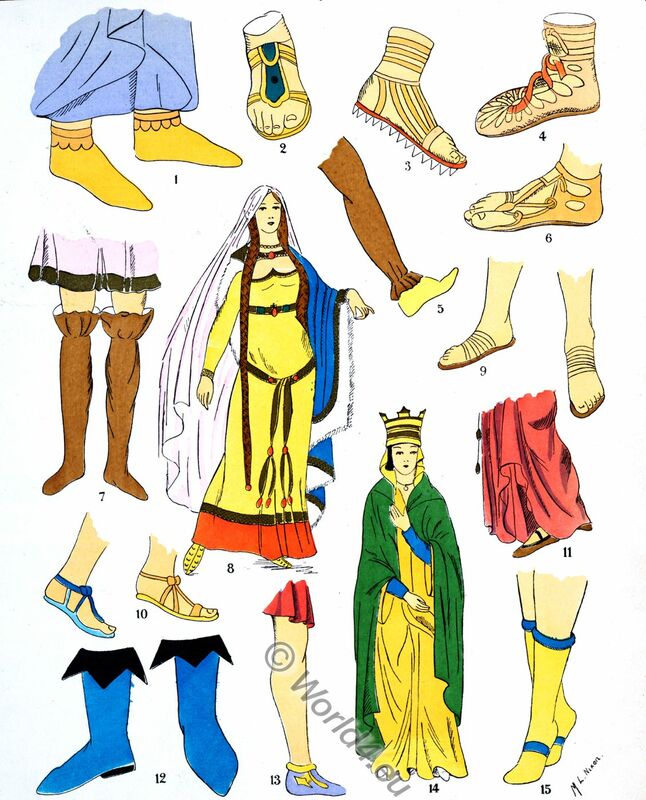 This entry was posted in 4th Century, 5th Century, 6th Century, 7th Century, Ancient, Celts, Gauls and tagged Historical Gaul costumes, Merovingian fashion and history, Paul Louis de Giafferri on 12/3/17 by world4. 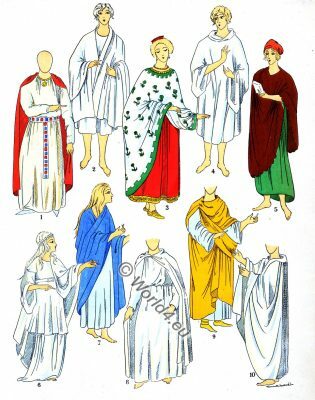 Ancient Gallic cloaks. 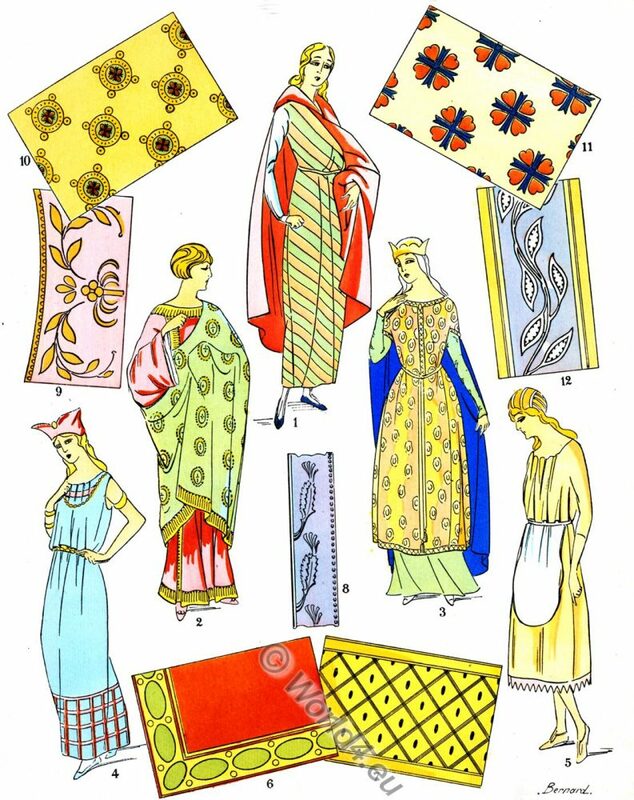 Merovingian fashion history. 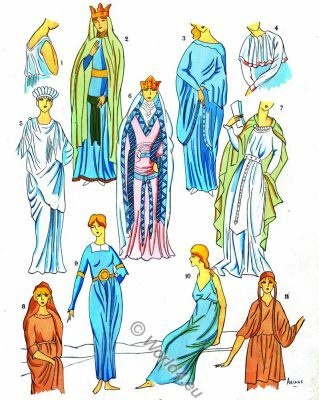 This entry was posted in 5th Century, 6th Century, Ancient, Celts, France, Gauls and tagged Historical Gaul costumes, Merovingian fashion and history, Paul Louis de Giafferri on 11/20/17 by world4.